Fantastically go crazy for the casual letterman outerwear that is suitably worn by both men and women. 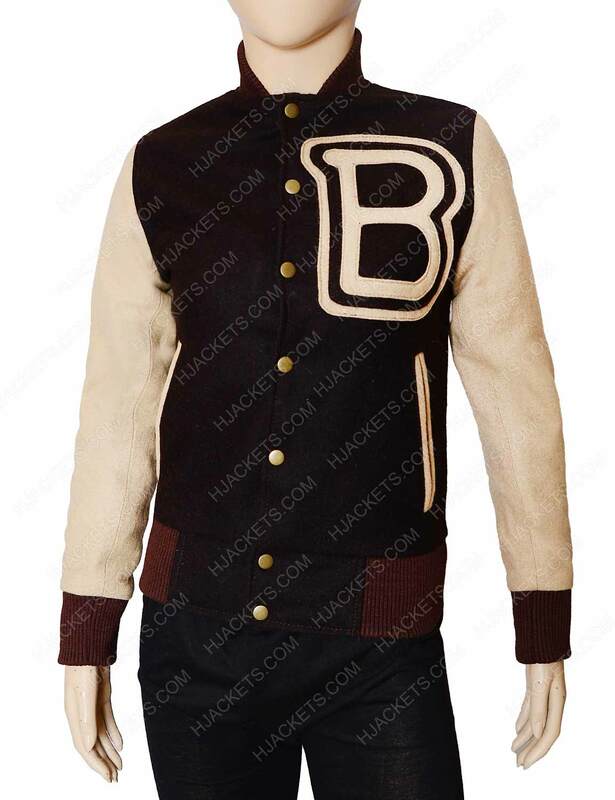 This Hotline Miami Letterman Jacket is a better inspiration for a fashion for daily featured gimmick for the normal day. The attire give an outstanding click for everyone who seek this remarkable apparel. 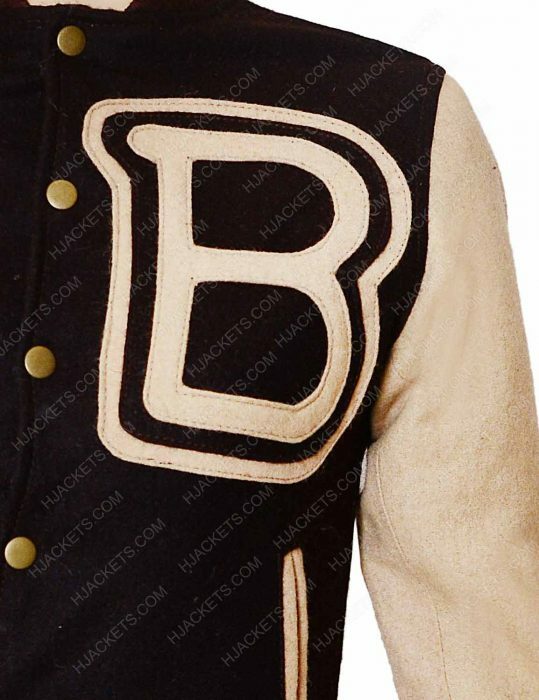 There are many different outer-looked letterman. 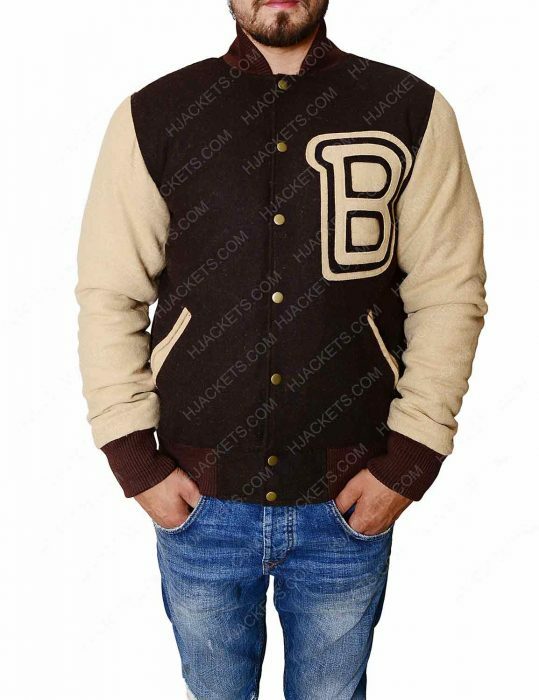 Its fashion but not many appears as good to emerged as all focus on the line as attention grabber Hotline Miami Varsity Jacket. This gear is fabricated with fleece material and having the Big B logo on chest to reflects the true inspiration. 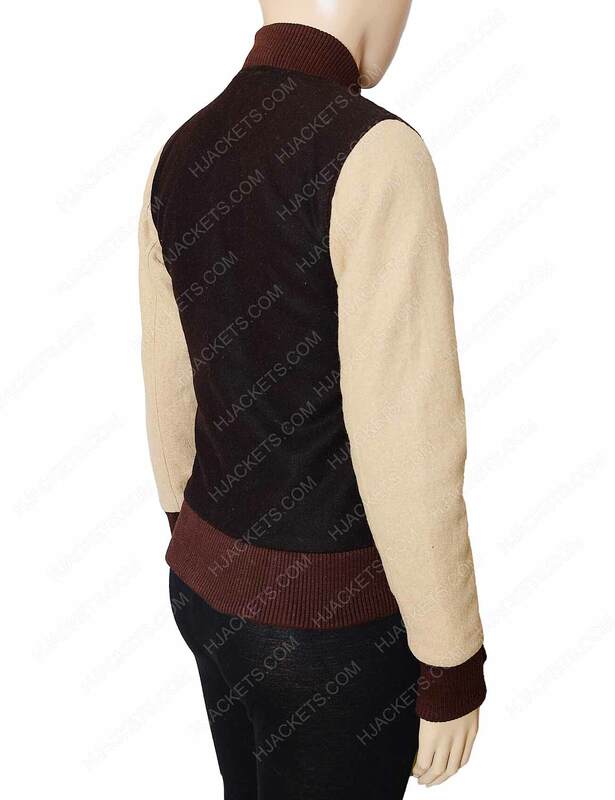 The style for this common fashion as both ladies and men outfits this type of attraction that embarks brown color and rib-knitted fashion apart from enveloped two slanted pockets on waist section. I am Pleased to have it I am really selected for my purchase because it is really difficult for me to avail the best quality material with the reasonable price. This time I tried apparel from the Hollywoodjacket.com. 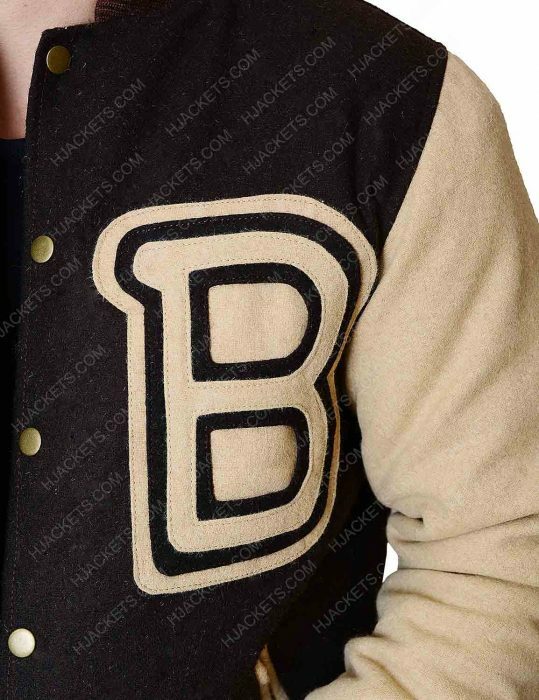 I am a little bit confused about my purchase because I didn’t wear letterman or varsity jacket before. Well, I ordered it according to my size. It arrived after 1 week of order and I feel really happy to have it. The material is really comfortable and features look amazing. The most pleasing thing is its color that attracts my many colleagues. I also want to share about customer service who helped me a lot in buying the amazing attire. I want to appreciate them and am really thankful of them. 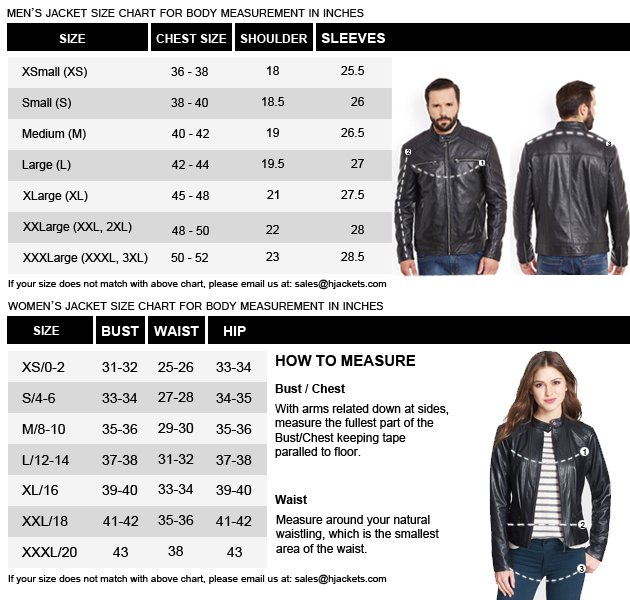 Get best compliments I am not interested in leather jackets, that’s I always search for cotton or polyester jackets for a casual wear. 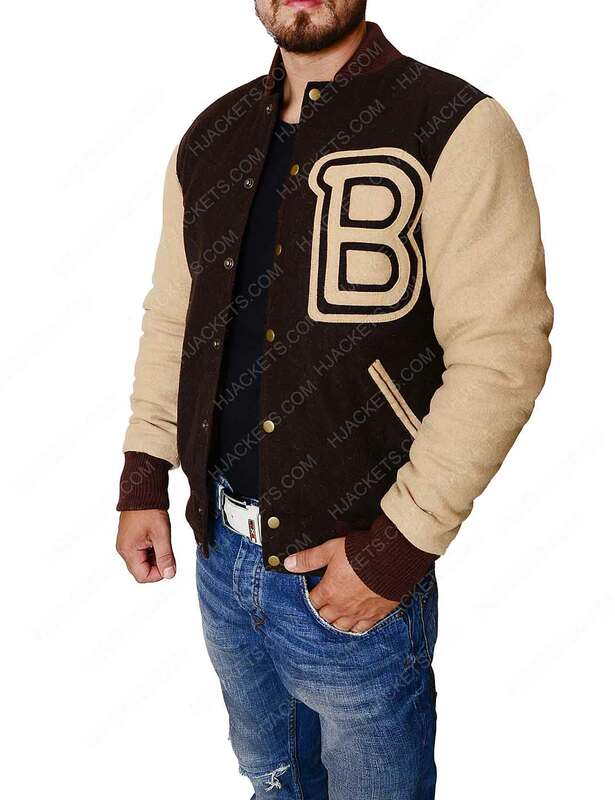 This time I buy this varsity jacket from the video game Hotline Miami. It looks stunning and I was really happy to have it. I didn’t feel any difficulty in receiving my product because of the best customer service. I am fascinated with the material because it really feels comfortable. The color also looks attractive and design allows me to wear this apparel casually any event to impress my colleagues. Thank you for the best product that looks classy and people also compliments me on my appearance. Alluring Attire It was my friend’s birthday and I was looking for a precious gift for him so that he can make his birthday memorable. I visited many websites but didn’t find anything that looks attractive. 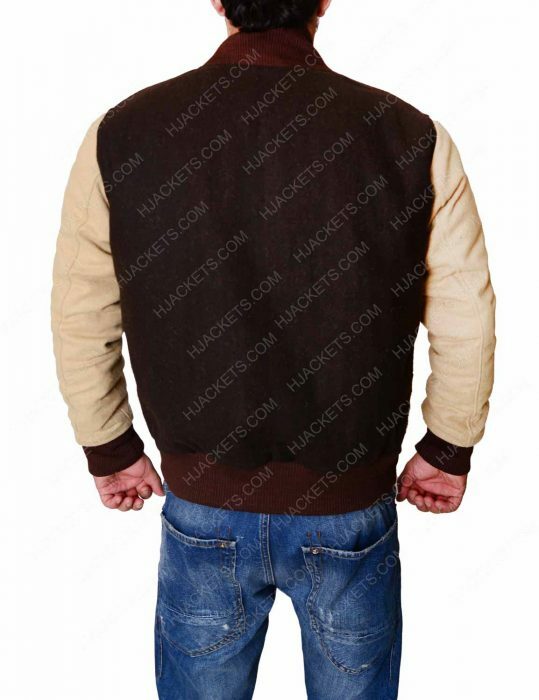 On this website, I found this pleasing Hotline Miami jacket that is the great choice for me. After checking the specification and features, I ordered two sets, one for me and another for my friend according to our best fitting. I must say that when it arrived I was really happy to have my products. Not only the material, but its features and colors look really pleasing. I and my friend wore it together and get amazing compliments from the viewers. It gives us best fitting while wearing and we also feel at ease all the time. Amazed to have his product. We are really impressed!